Growing up in Greensboro, Spencer Conover was always surrounded by art and music. He comes from a family of artists and musicians, and his Dad—a Methodist minister—taught him to appreciate rock ‘n’ roll thanks to his extensive collection of Rolling Stones records. Family vacations were spent watching his mom and aunt paint by day and his uncles and cousins sing and play guitar by night. 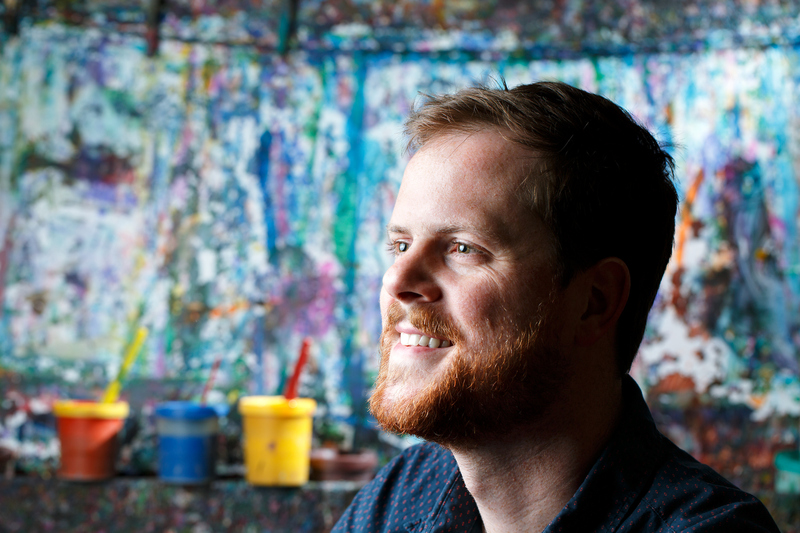 So it seems fitting that Spencer grew up to be a man surrounded by art and artists, as the associate director of events and donor development at the nonprofit ArtsGreensboro and the manager of the new Van Dyke Performance Space at the Greensboro Cultural Center. After college in Virginia, Spencer spent two years serving as road manager for the band The Brand New Life. This prompted him to leave a job, move back home, and enroll in the concert sound and lighting program at GTCC. 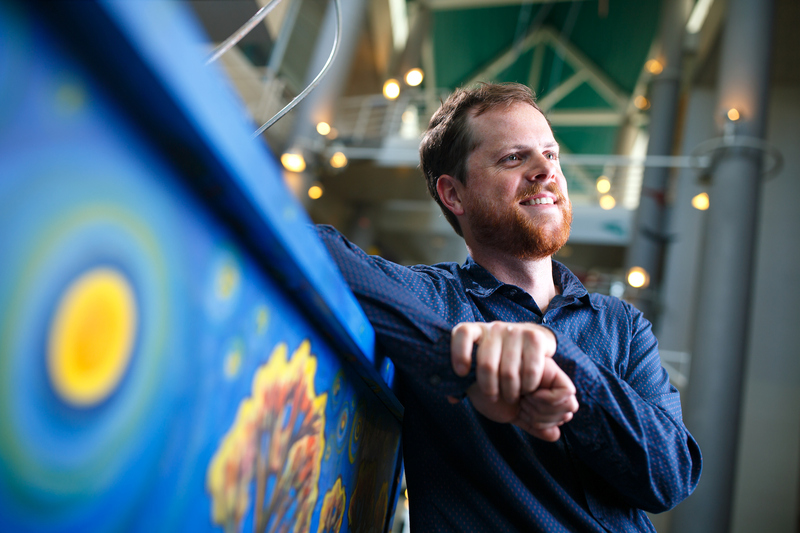 He worked his way through school as a house manager at the historic Carolina Theatre, and by helping ArtsGreensboro run 17 Days, the city’s annual fall arts festival in addition to other events like the National Folk Festival. 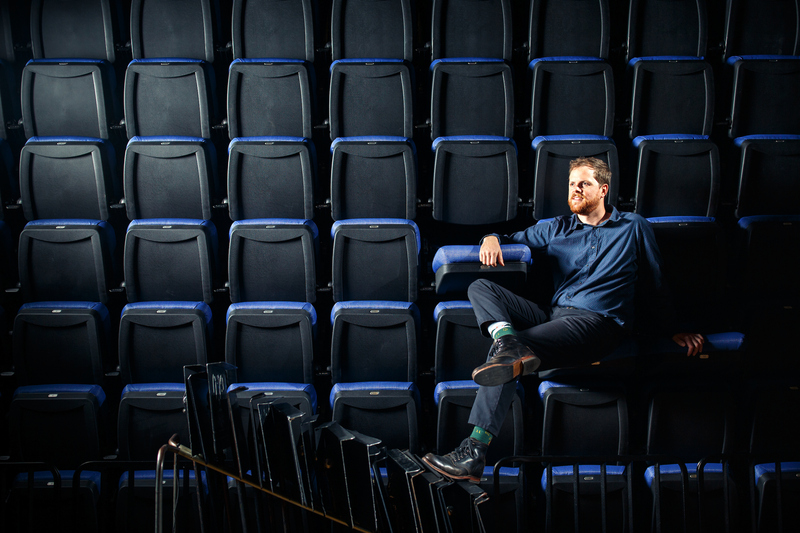 Last year, he joined ArtsGreensboro fulltime, a multi-faceted job that puts him in charge of the brand new Van Dyke, a black box theater that hosts all genres of performing arts and is specially designed for dance productions. “It’s really fun to see the way people react and the way they enjoy the new space,” Spencer says. He also manages the Brooklyn-based Afro-Funk band Super Yamba, while booking acts for the Levitt AMP Greensboro Music Series at Barber Park. It allows him to introduce Greensboro residents to eclectic acts, like Cheick Hamala Diabate, a Grammy nominee from Mali, West Africa. Greensboro’s Suah African Dance Theatre will be the opening act for that July 22 concert.